The British Beer & Pub Association is the leading body representing Britain’s brewers and pub companies, with its members owning over half of the UK’s 51,000 pubs. 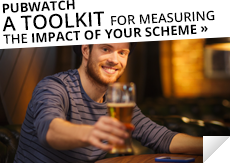 The Association promotes good practice to members, which includes membership of voluntary schemes proven to reduce crime and disorder in the on-trade, of which pubwatches are a key example. BBPA has been a long standing supporter of National Pubwatch, having been involved with the organisation for a number of years. With currently over 850 premises, JD Wetherspoon is one of the country’s leading pub companies. JD Wetherspoon is a committed supporter of Pubwatch both at national and local level and has recently funded research on behalf of National Pubwatch into the effectiveness of Pubwatch schemes in combating crime and disorder in the late night economy. JD Wetherspoon puts the safety of its staff and customers as paramount and sees participation in local Pubwatches by our premises management as crucial in ensuring that. “It is essential that the industry works together in ensuring our town and city centres are trouble free if they are to remain attractive places for our customers to visit and to avoid sanctions being imposed by the authorities on good and bad operators alike. National Pubwatch is a vital part of that partnership process and we are proud to be supporters of it”. Diageo is the world’s leading premium drinks business with an outstanding collection of beverage alcohol brands across spirits, beer and wine. These brands include Johnnie Walker, Crown Royal, J&B, Windsor, Buchanan’s and Bushmills whiskies, Smirnoff, Cîroc and Ketel One vodkas, Baileys, Captain Morgan, Jose Cuervo, Tanqueray and Guinness. Diageo is a global company, with its products sold in more than 180 countries around the world. The company is listed on both the New York Stock Exchange (DEO) and the London Stock Exchange (DGE). For more information about Diageo, its people, brands, and performance, visit us at Diageo.com. Stonegate Pub Company is the largest privately held managed pub operator in the UK, with revenues in excess of £800m and we employ over 14,000 people. The company has 772 pubs, split into two divisions, Branded, comprising: Slug & Lettuce, Yates, Walkabout, Be At One, Fever Bars and Venues; and Traditional comprising: Proper Pubs, Town Bars, Classic Inns and Common Room. Punch Taverns is one of the UK’s largest leased pub companies, with a portfolio of around 4,000 pubs nationwide. Punch Taverns is a keen supporter of Pubwatch schemes at both national and local levels. Licensees Unite was formed following the merger with Unite of the National Association of Licensed House Managers (NALHM). Licensees Unite and NALHM have a long history of representing licensees in the UK, including tenants, pub managers and all personal licence holders, as well as restaurant and club managers and members are active in all areas of the industry. 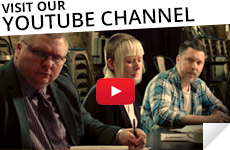 As well as directly representing licensees, it also campaigns on all issues relating to the industry, and gives significant financial support to organisations such as the Licensed Trade Charity and National Pubwatch. The CPL Training Group is the biggest provider of training to the licensed retail sector. 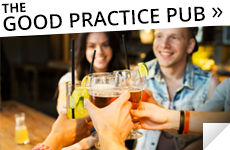 We provide training to leading pub companies, breweries and to thousands of indivudual pub tenants and lease holders. We are also the biggest provider of the personal licence qualification (APLH), with over 20,000 people sitting this course and qualification with us every year. CPL is committed to raising standards in pubs and to making them safer for customers and staff alike. That’s why we support National Pubwatch. We would like to give something back to Pubwatch members, so if you click on the link below you can access our exclusive Pubwatch members training discount. Licensing Defence Barristers is pleased to be sponsors of the National Pubwatch Regional Star Award. Pubwatch makes a valuable contribution to maintaining high standards in the sector by promoting best practice around the country. A well-run licensed premises is good for business and can make a positive contribution to local communities. 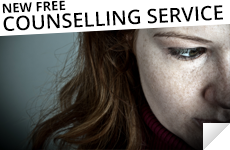 Sometime things do go wrong however which is where Licensing Defence Barristers can help. Licensing Defence Barristers is a licensing chambers specialising in all matters relating to alcohol, entertainment and late-night refreshment licensing law. We offer all National Pubwatch members a 10% discount on our legal services.